As China continues its urbanization drive, the residential leasing market, especially the long-term rental apartment market, is booming. 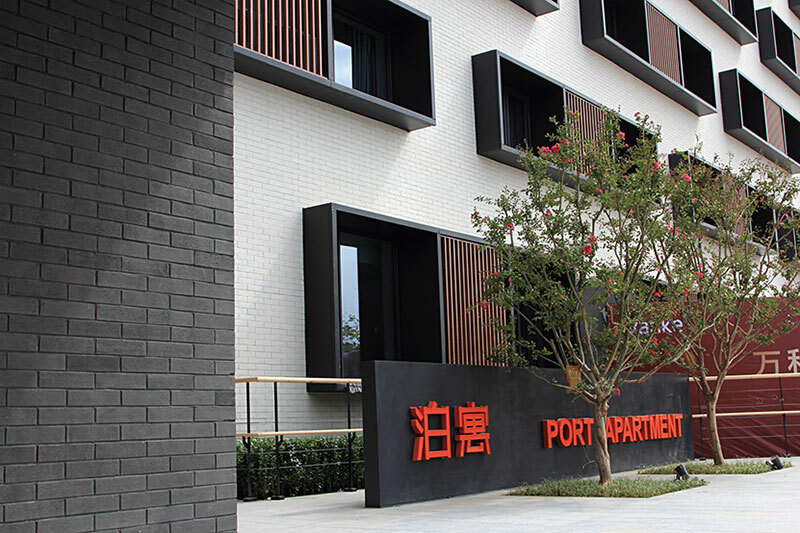 As the most well-known residential developer in China, Vanke also launched the “Port Apartment”, a long-rental apartment business in May, 2016. 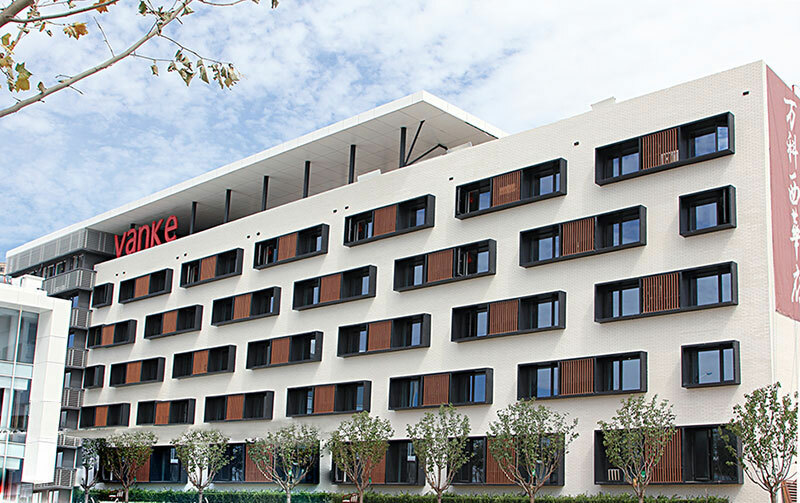 The brand is built on Vanke's existing residential project development competitiveness. It is complimentary to its existing projects or other projects in progress. 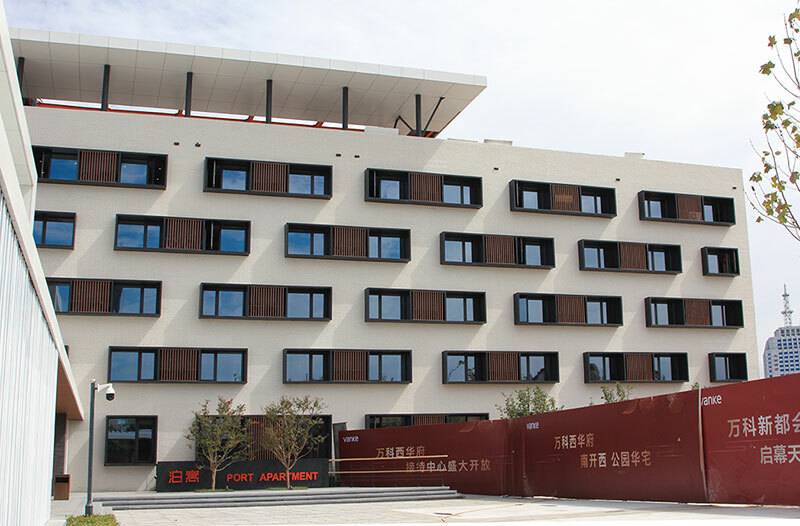 Its business model features large-scale supply and standardized management, providing a safe, comfortable and people-oriented long-term rental apartment for young people in China. At present, Vanke's Port Apartment have been launched in more than ten cities, including Shanghai, Beijing, Shenzhen and Xiamen. 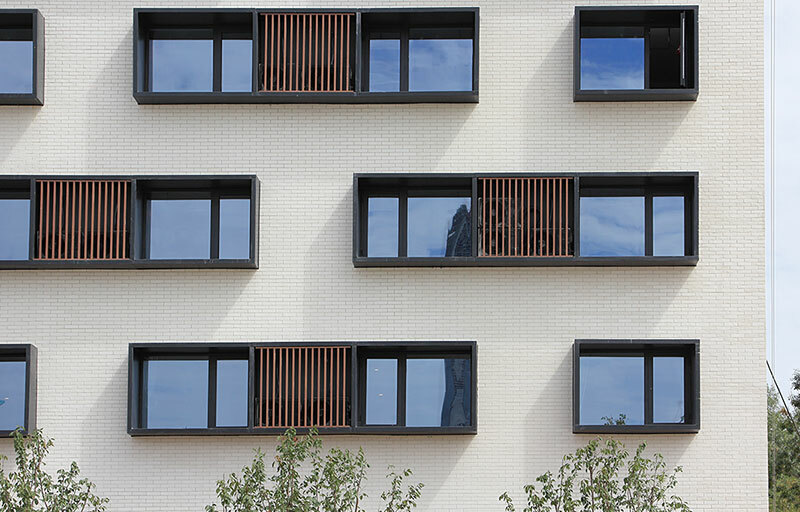 Tianjin Vanke Port Apartment is an integral part of the Vanke Tianjin Xihuafu Project. Next to the Tianjin Chengjian University in Haitai Nanbei Street in Tianjin, the Xihuafu project has a total planned floorage of 300,000 square meters, and it is a main residential community for the elites of the city. Inspired by UBC Wesbrook Village in Vancouver, Canada, the project is surrounded by a green area, a park, with a harmonious, tranquil and an academic atmosphere. The design of the Port Apartment adopts a simple modern apartment style. With a large part of the facade decorated with terracotta tiles, together with a regular rectangular bay window design, it caters to the aesthetic taste of its major consumer group, the young people. 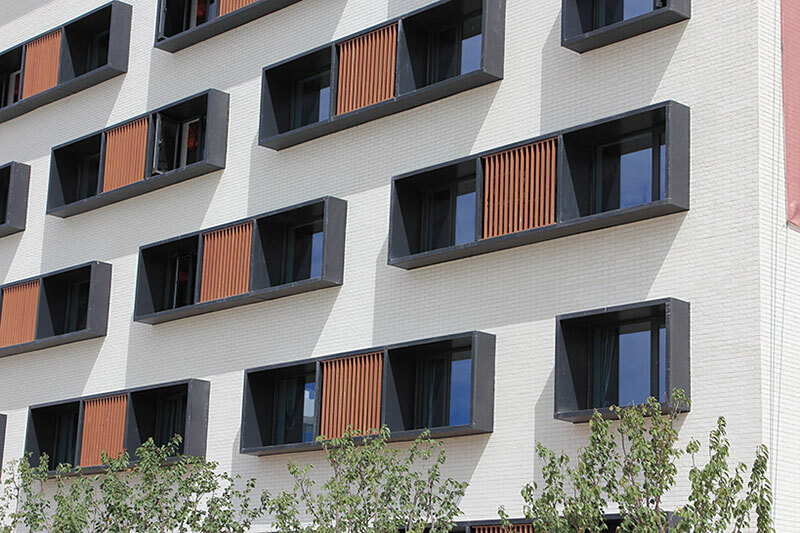 The building uses LOPO’s flexible brick slips as the facade decoration material, and the main building facade is wrapped with white flexible flexi-bricks. Red and gray flexible acrylic brick are used to decorate the entrance of the first floor. 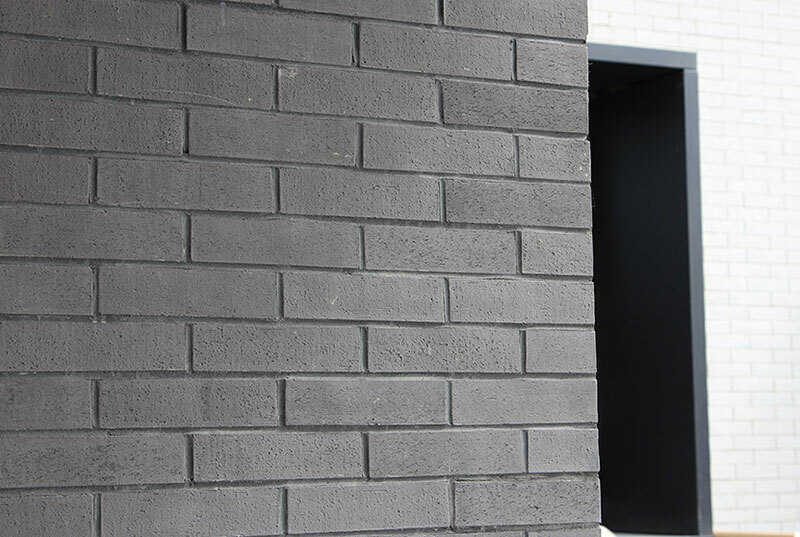 Brushed surface flexible flexi-bricks render a natural and simple feeling; thus, the characteristics of the relatively traditional British ceramic tile building are well preserved. Flexible cladding feature many advantages, such as flexibility, light weight, vivid texture, high construction efficiency and low overall cost. They are good alternatives to traditional facade decoration materials, such as terracotta bricks, terracotta facade panel and stone. 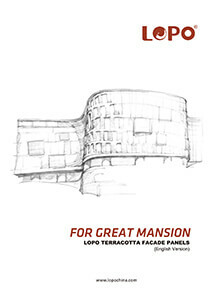 LOPO Flexible Cladding can be installed easily on almost any substrate of both new buildings and refurbishment projects, such as concrete, mosaic, stone, wood, metal, plaster board, old bricks, PVC, external wall insulation systems. This features make flexible cladding a good and safer option for cladding the high rise blocks. Wide options of textures and colors allow architects to create unique features and atmospheres for all kinds of buildings. LOPO flexible cladding products is cost-effective. Low cost of material; Low transportation and storage cost; Highly efficient in installation. No special tools are required. DIY friendly Products. 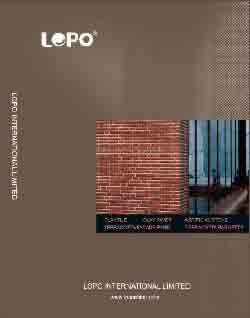 Click here for LOPO Flexible Stone Veneer.